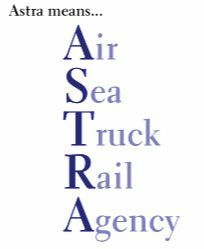 Astra International Moving & Shipping is the company you can rely on to ease the many decisions involved in relocating overseas. Trusted since 1997, we are experienced professionals who can handle your moving and shipping needs from BC, Alberta, Saskatchewan and Manitoba to anywhere worldwide. From air cargo to ocean freight including packing, crating or palletising, our wide range of services are yours to use for safer and easier relocation to your new country. Don't delay, let Astra International Moving & Shipping take care of getting your goods across international waters and air cargo routes. Be it a car or a crate of furniture pieces, we'll move and ship it for you. Call us today at 604-422-8001 or 1-855-868-6683 for dependable overseas documentary requirements, freight forwarding and shipping and exporting documentation services.